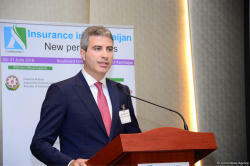 Azerbaijan intends to increase the share of insurance fees in the country's non-oil GDP, Executive Director of the Financial Markets Supervision Chamber of Azerbaijan Ibrahim Alyshov said on June 20 during his speech at the conference "Insurance in Azerbaijan: New Prospects". 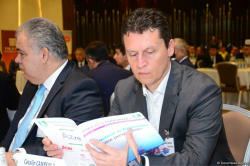 He noted that, the main goal is to bring the share of insurance fees in non-oil GDP to eight percent. "Currently, this share is only 0.8 percent. 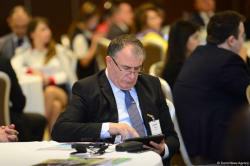 Our strategic goal is to increase this figure to eight percent. 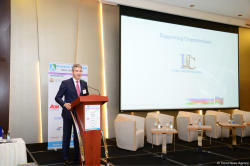 In particular, by the end of 2018, we intend to increase the share of insurance fees to 1.4 percent," Alyshov said. 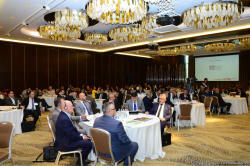 Alyshov noted that according to the data as of the end of May, insurance fees in Azerbaijan reached almost 351 million manats, which is 46.1 percent more than in the same period last year. "Thus, we can say that the insurance market of the country continues to grow. 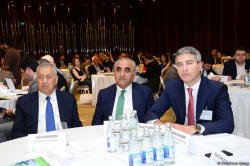 Out of the total amount of fees, 73 percent or 255.4 million manats fall on voluntary insurance, 27 percent or 95.4 million manats - on compulsory insurance. 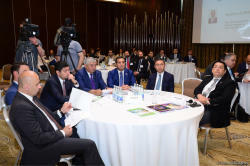 I would like to note that life insurance takes a large share in the fees for voluntary insurance, the fees for which amounts to 138 million manats," the Executive Director of the Chamber said. 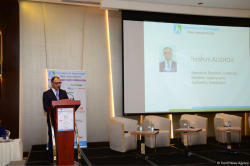 He noted that, another task is to increase the share of the insurance sector assets in the total assets of the financial sector. "In recent years, we have not been able to increase the share of insurance market assets in the total volume of financial assets. This figure does not exceed two percent. This year, it has again decreased slightly. 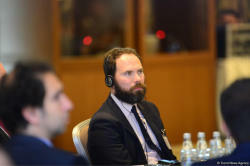 So, while at the end of last year, the assets of the financial sector amounted to 1.76 billion manats, in the first five months of 2018 they decreased to 1.114 million manats," Alyshov said. 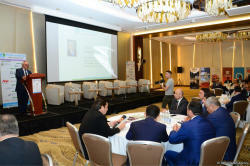 The conference "Insurance in Azerbaijan: New Prospects" started in Baku on June 20. 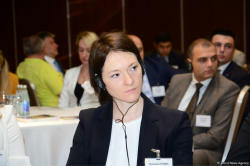 Experts and insurers from Azerbaijan, Russia, Poland, Turkey, Czech Republic, Germany, Ukraine, Romania, UAE and the Netherlands take part in the event. 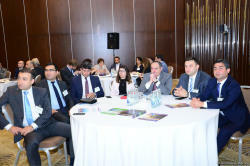 The conference participants will discuss macroeconomic trends and their impact on the insurance sector of the region, microinsurance and its prospects in Azerbaijan, digitalization and development of new drivers of growth of the insurance sector, experience of different countries in agricultural insurance and other issues. 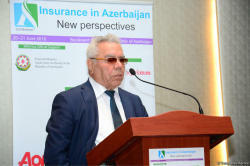 There are 21 insurance companies in Azerbaijan. The official exchange rate for June 20 is 1.7 AZN/USD.